Build your own rocket craft activity set - spacekids - space toys, dressing up costumes, kids spacesuits, astronaut food, cool space stuff! 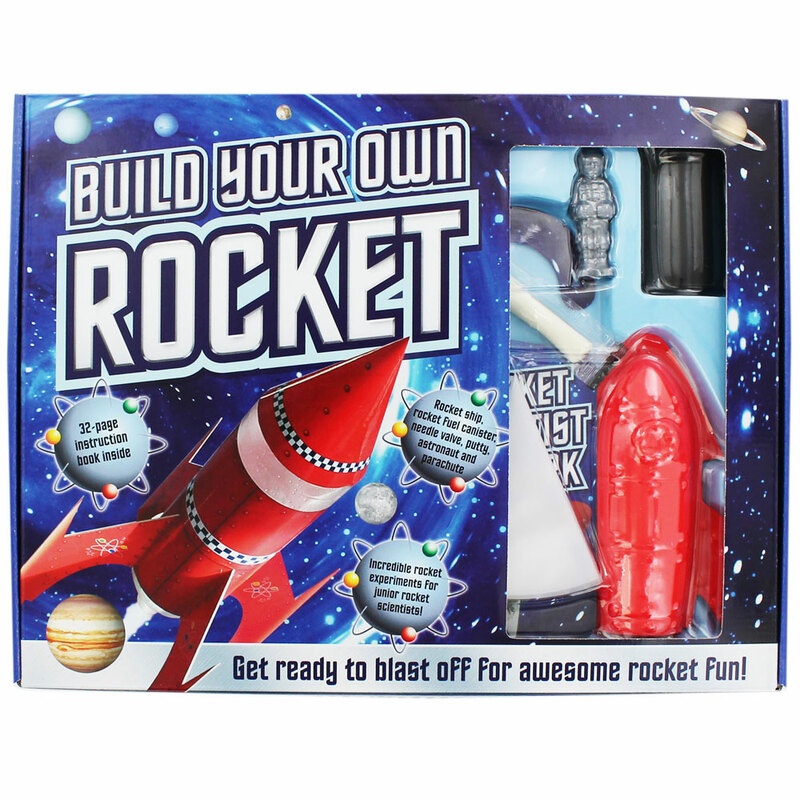 Become a rocket scientist and even build your own rocket with this fun activity set. Super-clear instructions, illustrated steps and specialist components ensure hours of rocket fun, simply follow the instructions for amazing rocket projects. Includes: 32-page book, rocket ship, rocket fuel canister, needle valve, putty, astronaut, parachute and 'rocket scientist at work' door hanger. A brilliant gift set for junior rocket scientists, suitable for children over the age of 8 years. This paperback book has 32 pages and measures: 18 x 14 x 0.2cm.